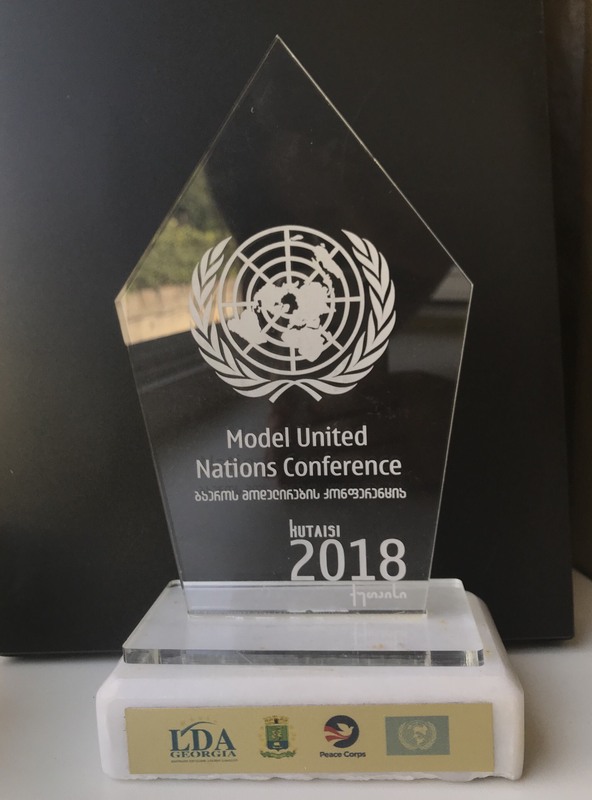 On the 12-16th of September, 2018, in Kutaisi city, Sakartvelo it was organized the international UN model simulation. 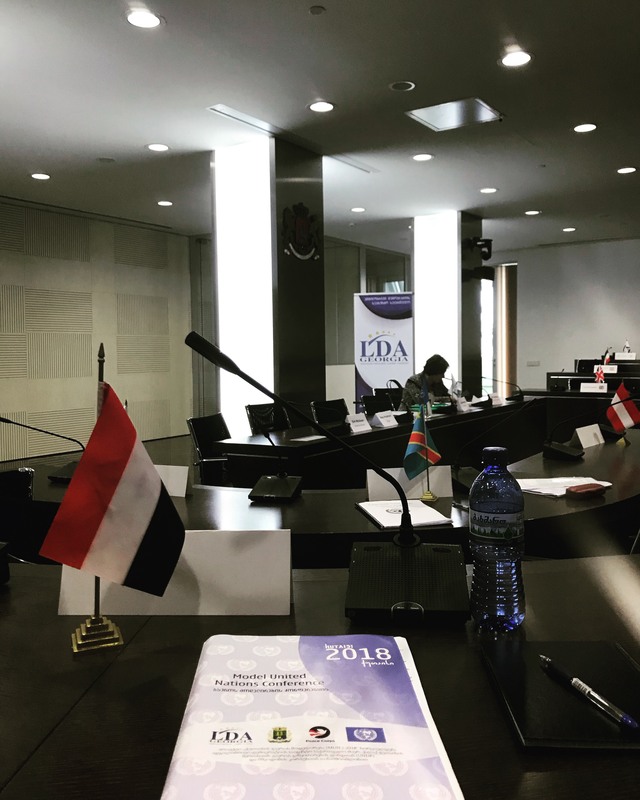 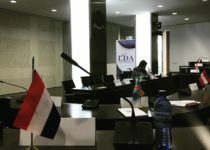 Model UN simulations are usually meant to expand the views of the students, to help them better understand the daily work of the United Nations and attain practical skills in negotiations and decision-making. 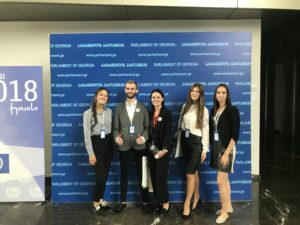 These events are mostly organized and run by students. 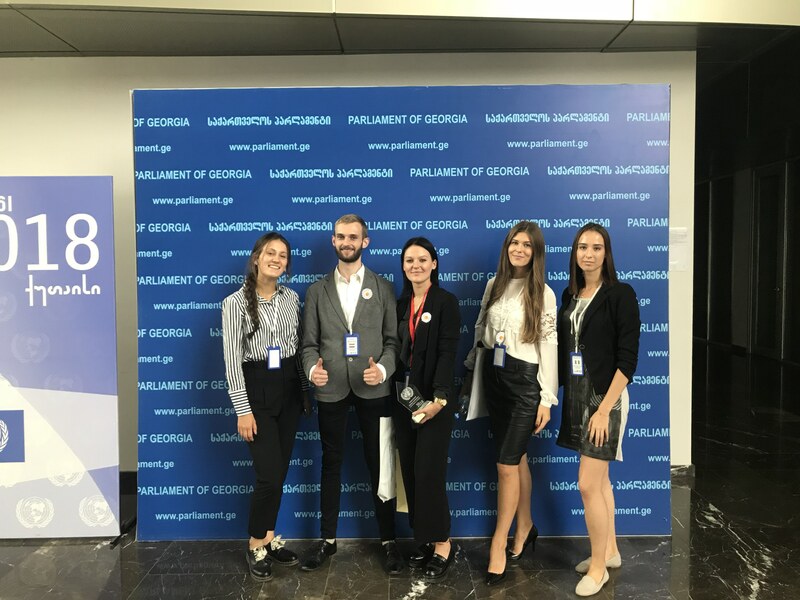 The faculty of Political science and diplomacy of Vytautas Magnus University was represented by Gertrūda Čepulytė, Artūras Matusevičius, Evelina Batakytė, Sandra Kudzmaitė, Vaineta Kazlauskaitė and Ieva Jakubavičiūtė. 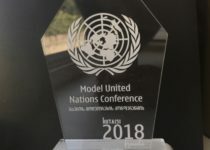 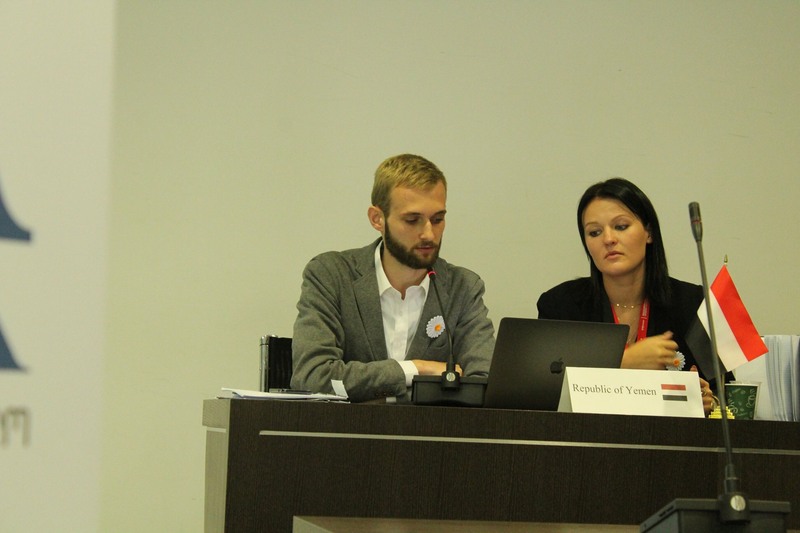 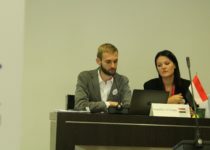 This event, UN model simulation in Kutaisi, attracted students from 11 different countries, who took the tasks and participated in the simulation while representing different assigned countries- UN member states. 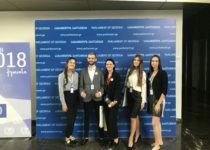 The best participants of the Model UN were rewarded in different categories: Best public speaker, Best Delegation, Best position paper. 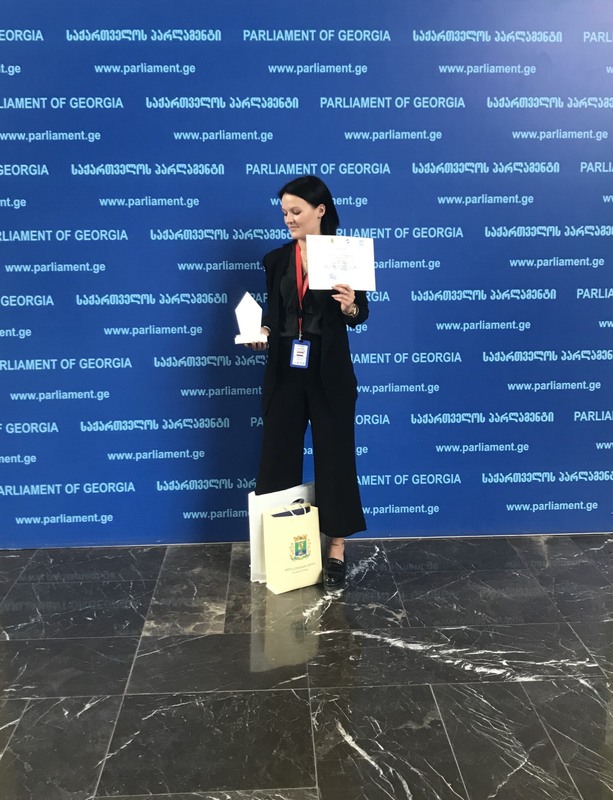 Gertrūda Čepulytė received an award ( first place) for the public speech in the category “best public speaker” while representing the position of the Republic of Yemen. 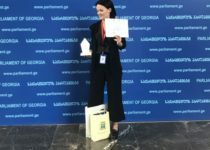 Gertrūda was also awarded with gifts from the Kutaisi City Hall, Peace Corps, and LDA Georgia organisations.